Newport, Rhode Island sprang up around one of the deepest natural harbors on the east coast of the United States quickly making Newport an important 17th and 18th century trading city with deep keeled ships sailing right into the heart of the city and up to the docks to unload their cargos from around the world. This deep water natural harbor and the constant thermal winds have made Newport one of the first sailing cities of today. However, Newport, especially colonial Newport is the home of many “Firsts”. 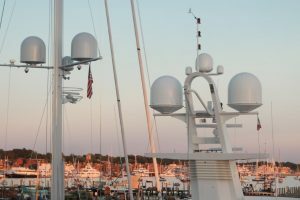 This historic city of colonial “Firsts”, is waiting to be explored on your yacht charter cruise of southern New England. 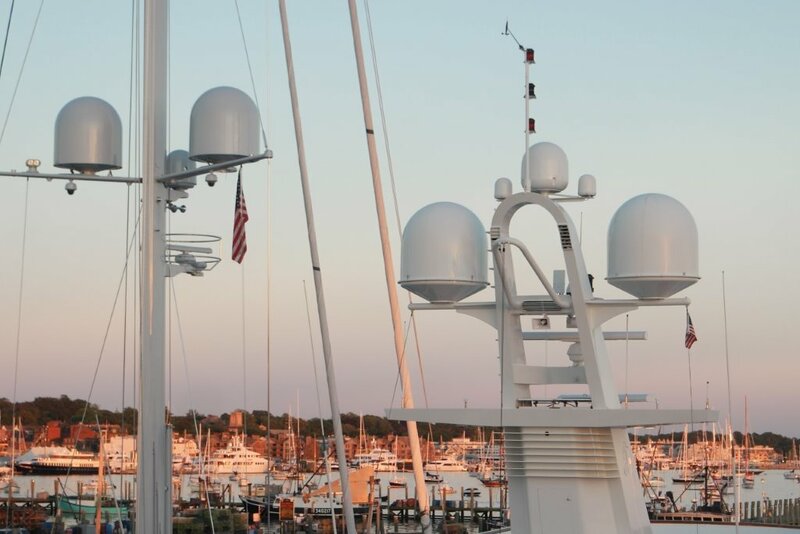 Here at Northrop and Johnson Yacht Charters, we are extremely familiar with Newport Harbor as our office is right on Coddington Wharf, named after, John Coddington, one of the founders of Newport in 1639. 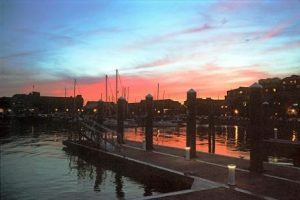 All of Historic Newport, and the locations of colonial “Firsts”, are within walking distance of the once bustling colonial harbor that rivaled New York City and Boston in importance. Rhode Island was known for religious tolerance and in 1658 a Jewish group arrived from Portugal and Spain, fleeing the religious persecution of the Spanish Catholic Inquisition, settling in Newport and built Touro Synagogue, now the oldest synagogue in the United States. Touro Synagogue is still open for services and welcomes visitors for services and also during other certain hours, as long as you are respectfully dressed. Near the Touro Synagogue is the White Horse Tavern, offering fine dining still today, along with rumored ghostly encounters from yesteryear. Originally built in 1652, the White Horse Tavern became a tavern in 1673 and today is the oldest tavern in the U.S. in continuous operation. Stop in for lunch, dinner or a great Sunday Brunch for a centuries old dining experience. 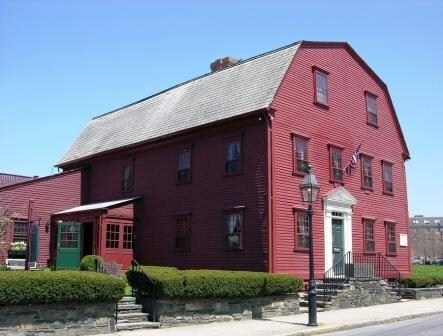 Right in the middle of the historic colonial center of Newport is the Old Colony House. 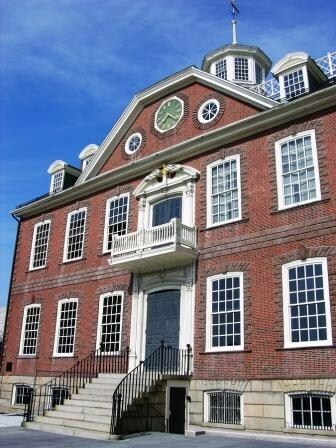 Build from 1736 to 1739, the Old Colony House was the first statehouse of Rhode Island where such visiting dignitaries as President George Washington and President Thomas Jefferson met together with local leaders. 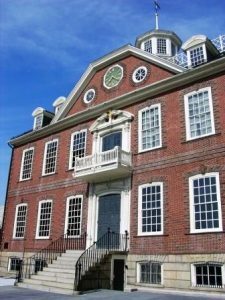 The Old Colony house is the oldest statehouse still standing today in the United States., and stories suggest that the first public reading of the Declaration of Independence took place from the second story balcony over the main front doors. Visitors are welcome, and upstairs is the original colonial court room, where court room scenes from the movie “Armstad” were filmed, but be sure to check the schedule for open hours.The Artillery Company of Newport was formed by King George II in 1741 and is the oldest continuously operating Artillery Company in the U.S. In 1798, the Artillery Company ordered cannons from a foundry owned by Paul Revere, which are still being fired today. The Artillery Company can be seen at special events in Newport wearing full Revolutionary War uniforms with the cannons cast by Paul Revere’s foundry blasting away. The home of The Artillery Company, in the center of Historic Newport and near the harbor, houses a military museum said to have one of the best exhibits of uniforms through the ages and from around the world in the United States. And the cannons cast in Paul Revere’s foundry are on display there as well. So, sail into the deep water harbor of Newport, just like the Clipper Ships did in pre-Revolutionary War days ladened with pineapples and molasses from the Caribbean, and tie up at the docks in the heart of Historic Newport and experience a city of colonial “Firsts”.